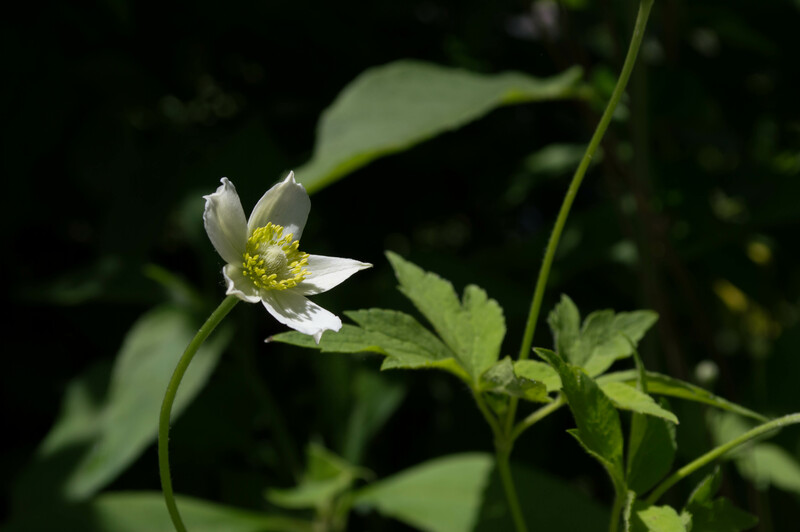 There are always small, subtle flowers to be found, but now is the time of year for big, showy flowers. 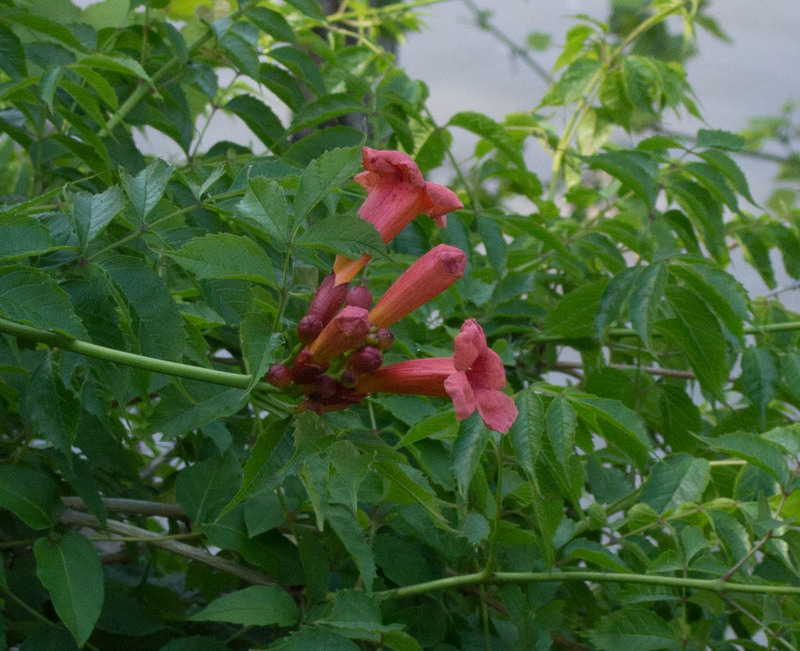 Trumpet creeper practically shouts for you to come have a look. 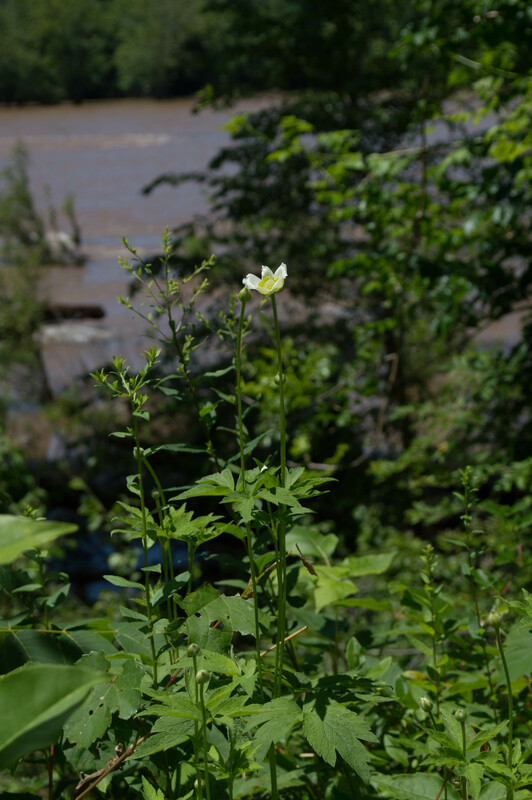 It grows along the rock walls of the Clara Barton Parkway, and the flowers are so large (2-3 inches long) and bright you can see them as you’re driving by. It’s a woody vine that grows vigorously to thirty feet long, so think twice before buying one for the garden, unless you have a very large area that you’re trying to naturalize. It does attract hummingbirds. 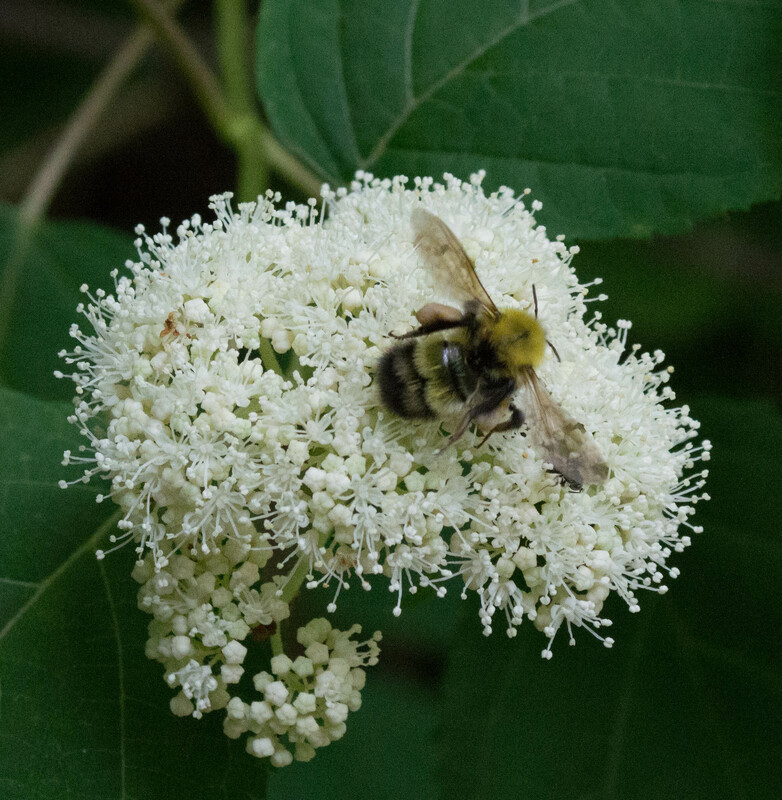 By the way, if you are interested in native plant gardening and attracting wildlife, read this very interesting article before buying plants at the nursery. 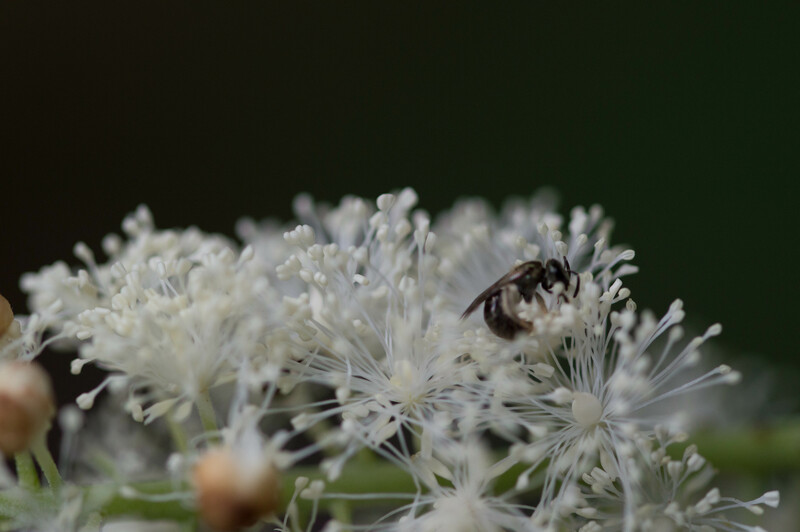 Many native plant cultivars developed for the garden are far enough removed from their native form that animals don’t recognize them. They’re useless. Tricky to photograph, as the plants were growing right in the water. I couldn’t get any closer without sliding down the embankment into the water myself. I figured these for aliens, too, but took some pictures, went home, and cracked open Newcomb’s. And guess what? They’re natives! 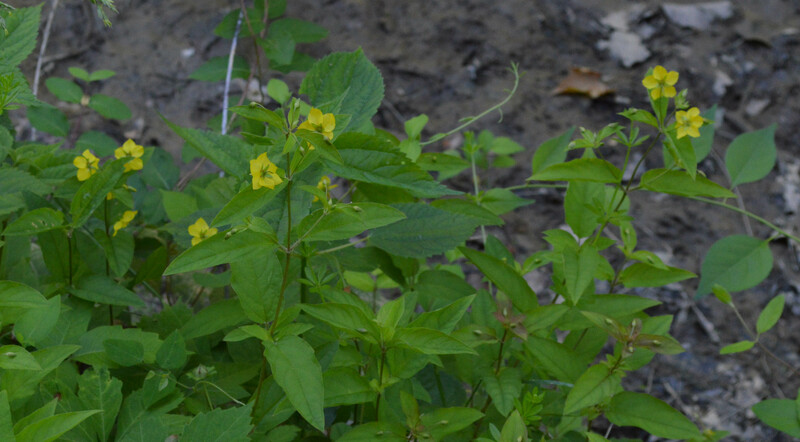 There’s another native with the common name water willow, Decodon verticillatus, aka swamp loosestrife. They aren’t even closely related. Common names are an annoyance. 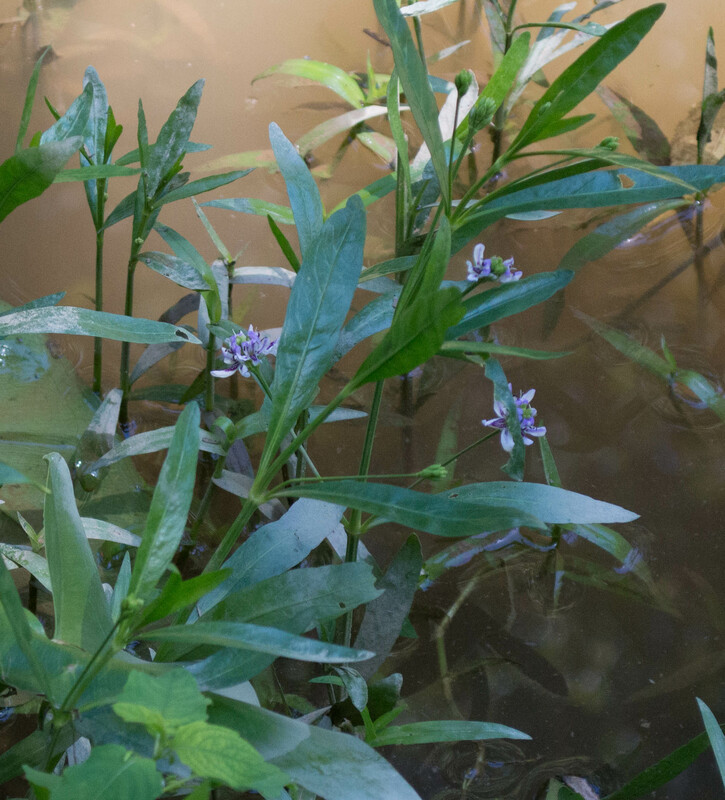 Water willow grows in colonies in wet soils or shallow water, from Texas east and north through Quebec. 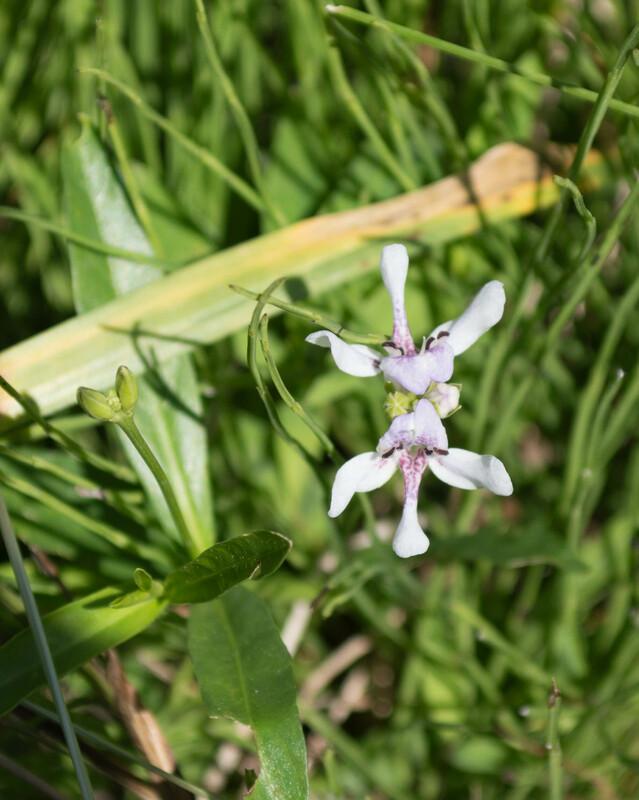 It stands about three feet tall with narrow leaves; the purple and white flowers are borne on long stems arising from the middle and upper leaf axils. Of the 22 species of Lysimachia in the continental US and Canada, this one is by far the most common, found everywhere except California, Arizona, Nevada, Louisiana, and the arctic. Eight native Lysimachias, some of which are threatened or endangered, can be found in Maryland, as well as four alien species. 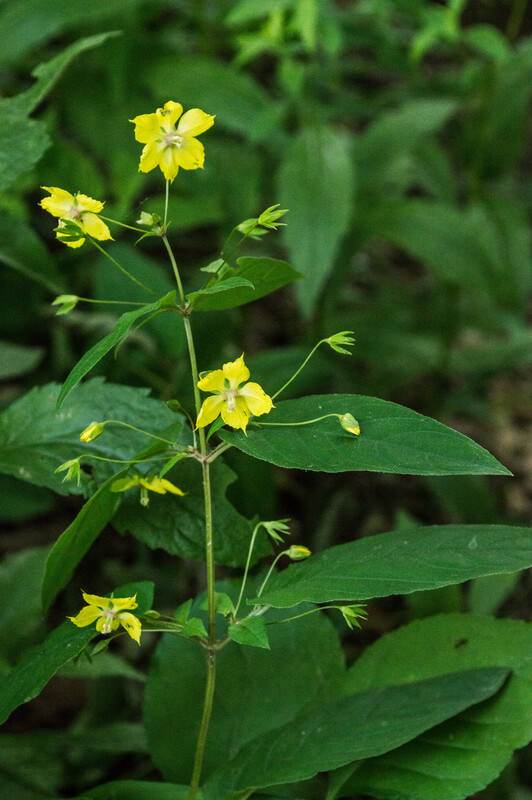 Two of these, garden yellow loosestrife and creeping jenny, are considered noxious. 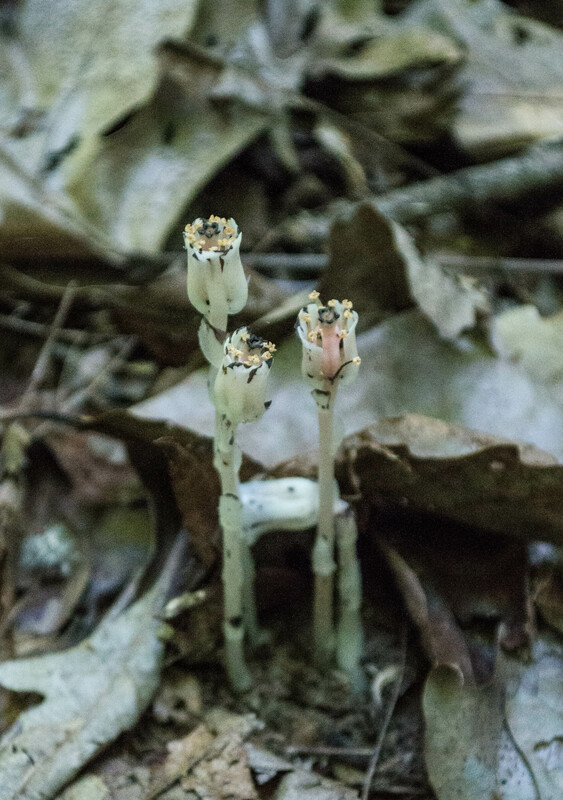 Earlier this year I saw an interesting plant growing along the trail. I had no idea what it was, but thought it nice looking, with dark green, pinnately compound leaves giving it a fern-like appearance: I’ve gone back every few days to check on it, watching the spikes develop and the buds swell. 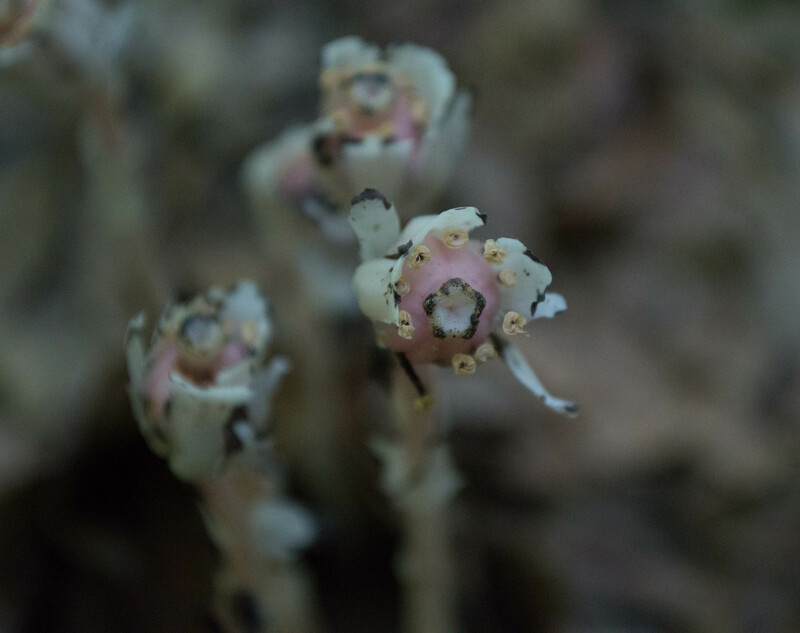 Finally yesterday I saw it in bloom: The picture isn’t sideways; the inflorescence was growing diagonally out across the trail. It blooms from the bottom of the spike up, so I’ll be going back in another day or two to see how it progresses. 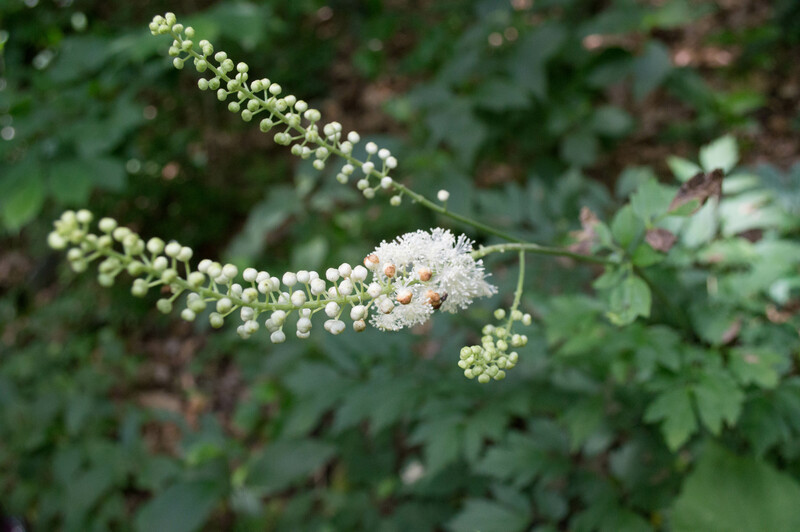 Black cohosh can be found in woodlands across the eastern US and Canada, though it’s listed as endangered in Illinois and Massachusetts. 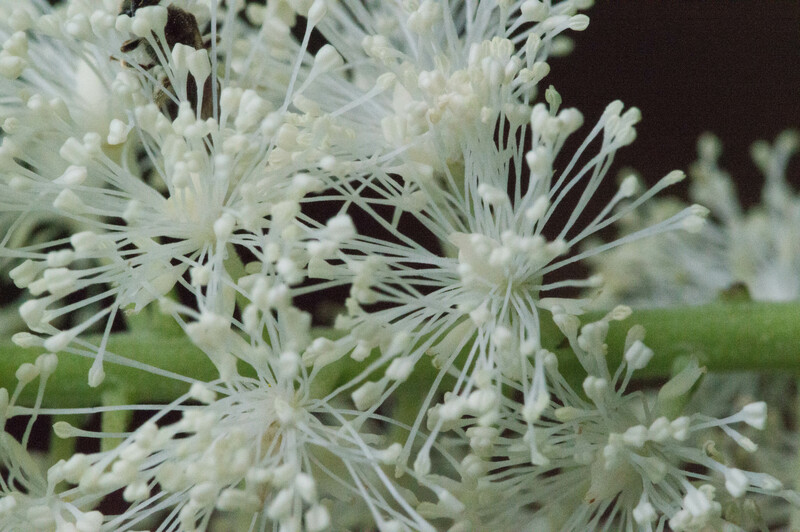 It gets large, several feet tall and several feet across, and the flower spikes add another few feet. 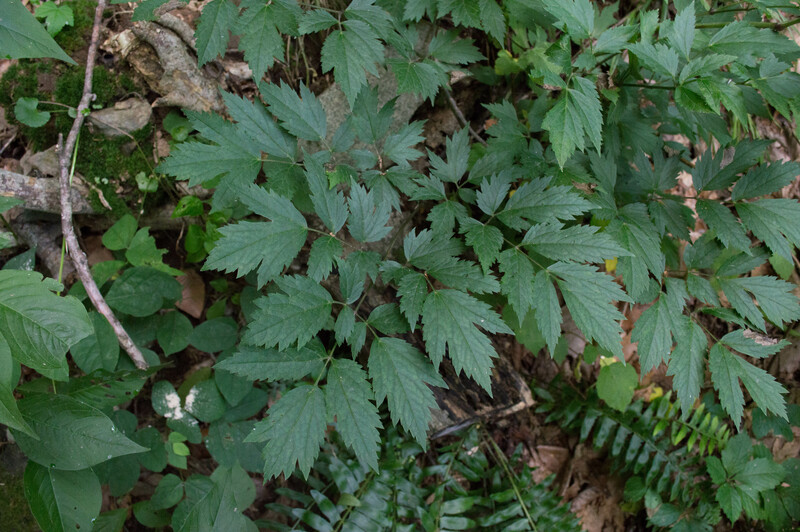 You may have heard of black cohosh as a dietary supplement or herbal remedy; read what the National Institutes of Health, the University of Maryland Medical Center, and the Mayo Clinic have to say.